Nothing is set in stone when it comes to the oft-delayed Gran Turismo 5. After constant delays, Sony and Polyphony Digital announced that Gran Turismo 5 would finally be released on the PlayStation 3 this year on November 2, 2010. Unfortunately, that's turned out to be a falsehood. SCEA producer Taku Imasaki confirmed on the Sony Blog today that Gran Turismo 5 will be delayed past its November 2 release date. His brief message assured gamers that it'll still be out for the holiday season of 2010, and said that the delay was due to Polyphony Digital wanting to create the "perfect racing experience." It was a shock to racing game fans that Gran Turismo 5 was finally coming out in 2010 after more than half-a-decade of development time, and I'm sad to say their dreams have been shattered once again. Gran Turismo 5 faced a minor issue earlier this year when it displayed the flags of a national Italian event without permission, but this is not the cause of the delay. I'm starting to think that any release date for Gran Turismo 5 cannot be believed until the game is in the hands of consumers and running on their PlayStation 3 consoles. 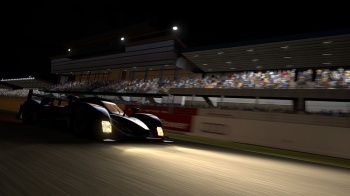 When the new release "projection" for Gran Turismo 5 is announced, we'll let you know.